And so I thought I would contact them to see how we could help. The Republic of Moldova is a very new country. It only recently celebrated it's 25th anniversary. It's also a very small country, with a population of only 3.5 million people. And Ambassador Beleavschi is correct, the country is almost unheard of to people in North America. You can click on the map to make it larger. Unfortunately, Her Excellency had prior commitments and wasn't able to meet with us. But in house Counselor Cristina Mahu invited us to the embassy to visit with her and introduce us to her country. And we're glad that we did. Now we're even more looking forward to visiting the Republic of Moldova. 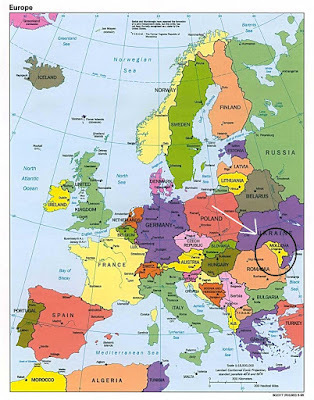 Moldova is the least visited country in Europe. However, it was voted as the #2 "Off the Beaten Path" destination by Lonely Planet readers in the 2013 Travelers Choice awards. Apparently Moldova is proof that the best places are those least visited by tourists. Ruth, and our host Cristina Mahu at the Embassy of the Republic of Moldova. Of course you'll notice the bottles of wine in the picture above. Cristina says that although there isn't very much tourism infrastructure in Moldova, wine tourism is definitely growing. We spent an hour with Cristina as she answered a lot of our questions. Because of this lack of tourism infrastructure, we will probably try and rent an apartment or AirBnb in each of the two largest cities, Chisinau (pronounced Kish-i-now) and Balti and do day trips from there. We are so looking forward to telling you more about Moldova! Maybe you should contact the Romanian Embassy! Maybe, but Romania's tourism is much more developed because of the whole Dracula and Transylvania legend. They even have a North American tourism office in New York City. What language do they speak in Moldva? Are there language tapes to give you a little understanding of words and sentences? The main language of Moldova is Moldovan. Moldovan is the same language as Romanian, but they call it Moldovan. 75% of residents say that Moldovan is their main language. Next is Russian, with 16% of residents. Looking forward to your travels and interesting postings. 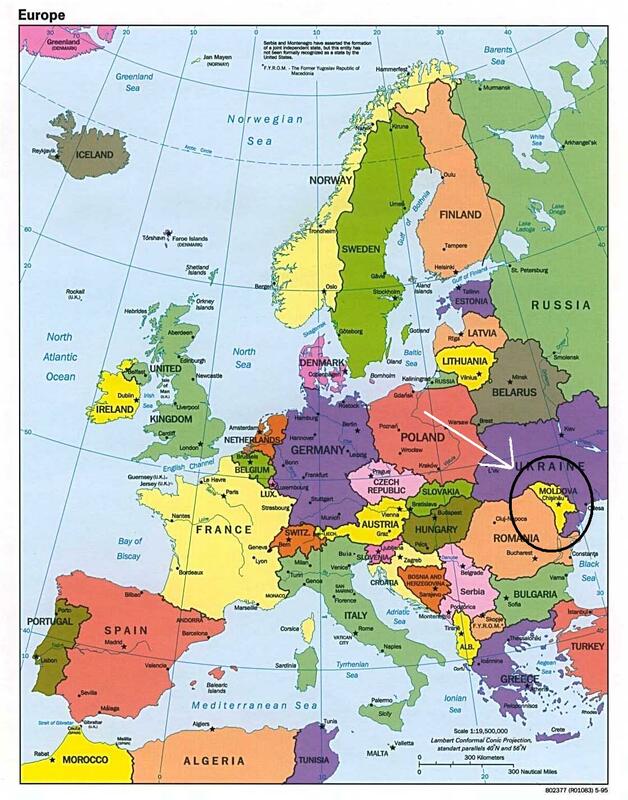 We are looking forward to telling our readers all about Moldova and our adventures there. You may find that when you are done travelling you need to do a "guide to Moldova" as a title, you will get huge traffic to your site that way. Those specific SEO words will drive anyone thinking of going there to your site. If hardly anyone goes there you will likely be one of the number one resources so include all the little things, how you get there, how you booked, how you figured out getting around :) I visit a ton of blogs before we go somewhere and most of those places are bigger. Yes, you are totally correct and I'm sure we'll do that! Just read a motorcycle blog of a couple trying to visit Moldova and they were turned away because they didn't have Moldova motorcycle insurance. They tried to buy some and were turned down because they weren't Moldovan citizens. So they passed it by. Interesting. They obviously didn't do enough advance research. Too bad! Kevin, since you and Ruth have done advance research, you probably know about the trials and tribulations the Moldovan people went through before they became independent Moldova, especially during WWII and USSR occupation. I'm sure the elderly Moldovans remember quite well, but seeing your picture with the smiling young lady at their embassy tells me that their young people have risen above the past and will create a great future for Moldova. I think you and Ruth will be graciously welcomed while they try to build a tourism industry.